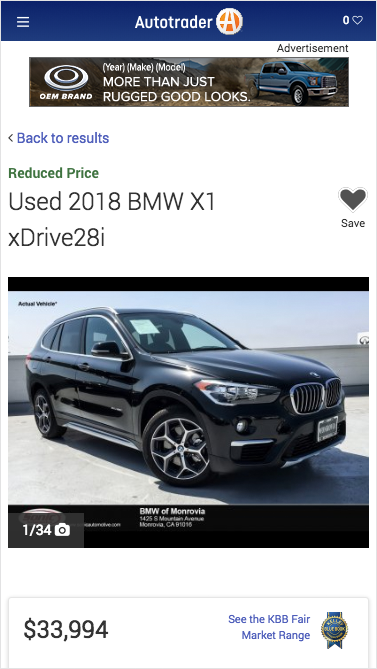 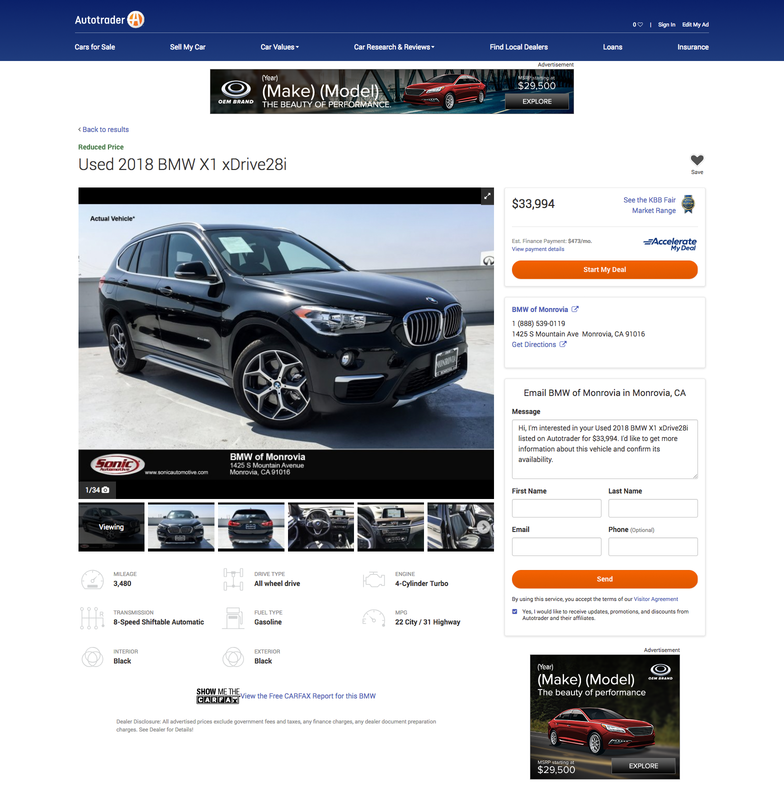 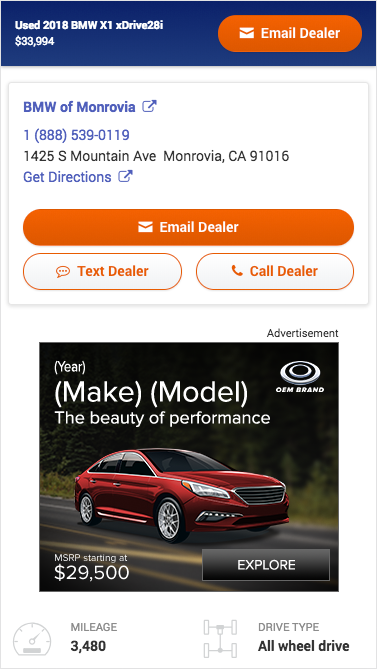 Conquest your top competitors on Autotrader with both IAB and native executions placed strategically in the shopper’s path. Influence shoppers consideration of your brand on any platform at either a National or Regional level. 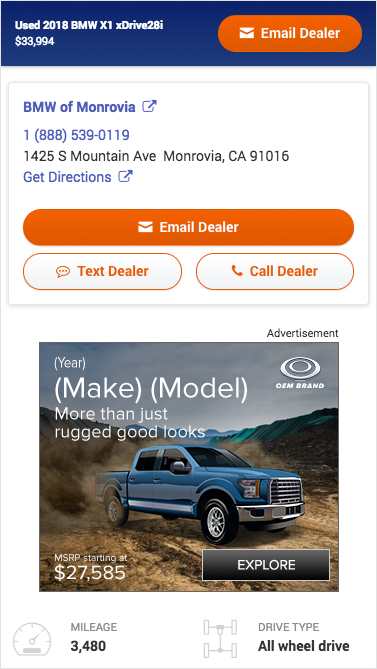 Make pages are targetable by Make and DMA; the ads do not refresh based on filters. 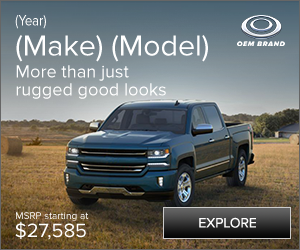 Ad serves based on selection of the first Make 1. 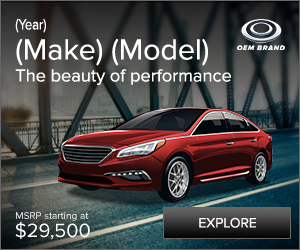 If Make 1 is removed, the ads will rotate Make 2, Make 3, etc. 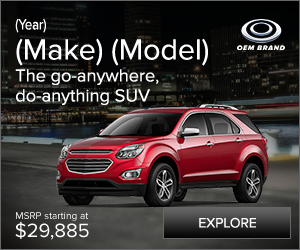 No Make is selected on initial view of SRP, then shopper selects Makes from the flyout. 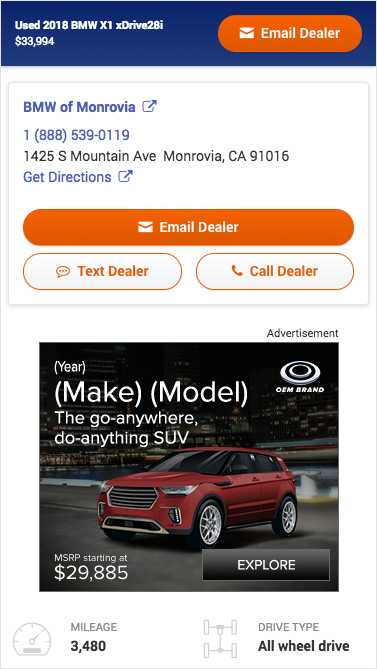 Ads will rotate and are not selected based on Make 1, Make 2, etc.